Schedule your time this weekend to see what’s in store on the automotive horizon. 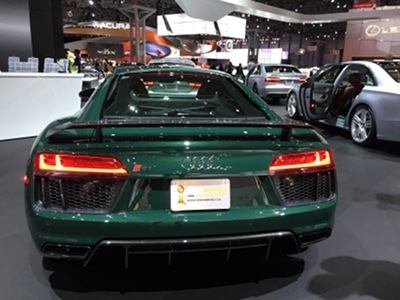 If you love cars, as I do, you’ll find this year’s selection at the New York International Auto Show filled with technological advances that will make your head spin, as well as some other concept cars and prototypes that seem truly space age. 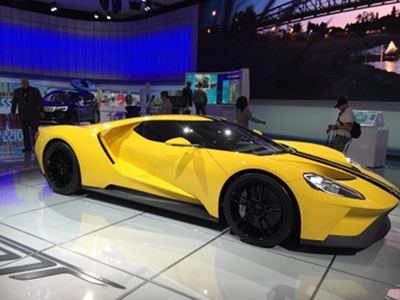 Plan on spending a few hours to see nearly 1000 of the latest new cars and trucks. From now through April 3, this show will wow any car lover. The 100th anniversary of BMW will be celebrated in the US in the fall. Stay tuned for big happenings countrywide. Mercedes-Benz’s 2017 C-class line-up will hit the US in a big way this summer along with facelifted and less-pricey CLA models. 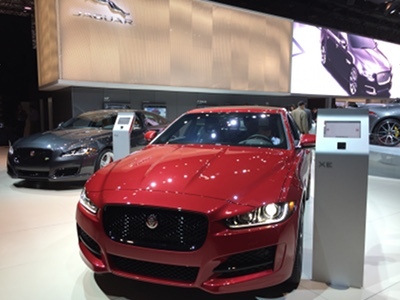 Jaguar is poised to take on its BMW and Mercedes counterparts with a new entry-level model, the stylish XE. Service is included, as is for BMW, in the pricing. BMW’s luxe 7 series models include wireless charging stations for your phone, gesture control, and headrest-mounted tablets for back-seat riders. If your hands are full with bags and groceries, Maserati lets you open the trunk by waving your foot beneath it, provided you have the key in your pocket or bag. Single-person vehicles designed by Elio Motors (www.eliomotors.com/team) will be manufactured in Shreveport, Louisiana, with a starting price of $6800. Sunroof extra, of course. Toyota has a concept car that’s similar. Both seem very odd to me, and much like a car version of a Vespa. They seat two people, but in tandem. Projected MPG for the Elio is 84, based on a 3-cylinder version. The hand-built Dutch Spyker sport car returns to the show this year with the new C8 Preliator. Only 50 of these cars will be produced worldwide. The car is sold through its first US dealer, Manhattan Motor Cars. There’s a kids’ play area that might come in handy as you meander through the two floors of cars, trucks, SUVs, and vintage cars. Where to go: Jacob Javits Center, 11th Avenue between 34th and 40th streets, New York City. Hours: 10am-7pm. www.autoshowny.com. Tickets are $16 for adults and $7 for children under 12, and can be purchased online or at the show. This entry was posted on Thursday, March 31st, 2016 at 3:30 pm	and is filed under Stuff to Do. You can follow any responses to this entry through the RSS 2.0 feed. You can leave a response, or trackback from your own site.